Australia has released its first national “Early Years Learning Framework” (also known as EYLF / FRAMEWORK) for early childhood education, 0-5 years. The Early Years Learning Framework enables childcare professionals to extend and enrich children’s learning, provide opportunities for children to develop a foundation for learning and for children to become successful learners. The EYLF is a guide which provides general outcomes for children’s learning and how they may be attained through the Principles, Practices and Learning Outcomes. The Early Years Learning Framework.. is a foundation of Principles, Practices and Learning Outcomes to incorporate into our curriculum (formerly known as a program). Learning through play – provides an endless amount of opportunities for children to explore, discover, create and imagine. 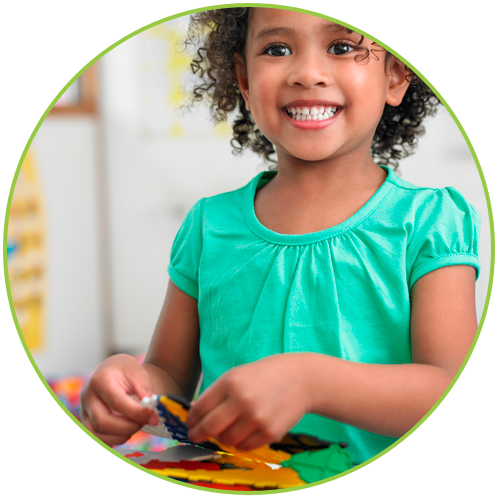 Play extends children’s thinking and promotes a hands on approach to learning. Create a learning environment which encourages children to build on children’s learning in positive ways. Learning Outcomes encourages childcare professionals to track what children can do. Supports and guides individual learning programs for children. It provides reference points which can be used to identify a child’s progression. The Learning Outcomes are relevant to children of all ages (birth to five years) and acknowledges that each individual child learning progresses at their own rate. 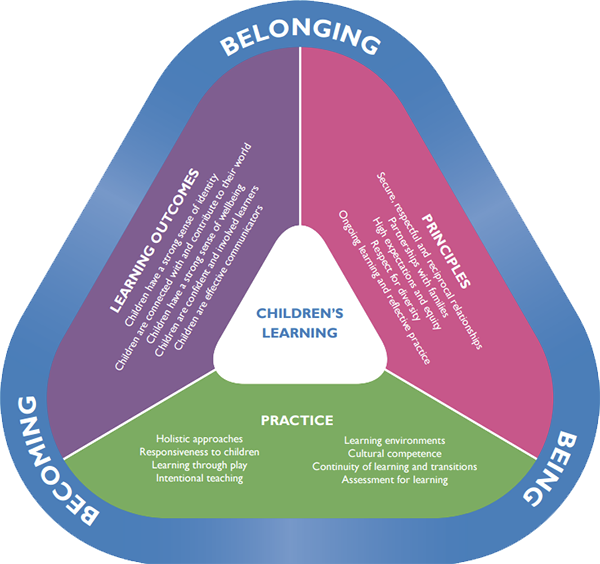 In the Early Years Learning Framework there are five Learning Outcomes and under each of the outcomes there are broad goals which provide key components of learning that may be observed in children as they learn.